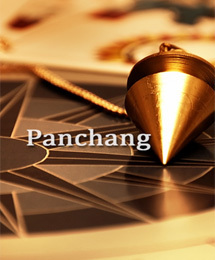 Panchanga follows traditional Indian cosmology, and presents important auspicious dates and times which are determined by the planetary positions within the zodiac. It can indicate when you might run into obstacles, when it will be time to charge ahead or hang back and wait for your moment. Plan your day with Panchangam Report, which will highlight the key daily indicators to taste success. Mobile Verification will help us to ensure that all of the profiles on the site belong to real people. By registering with AstroVed, you will have access to numerous free astrological reports apart from predictions like Daily, Monthly and Yearly. We randomly may ask you to verify your account with a phone number to ensure that a real person is using this profile. You can Skip this step for now and verify your number later also. How to Verify Mobile Number? Click on it, and select Manage Mobile Number. Provide your Mobile number in the space provided there, Click on Add button. After receiving our Verification Code, Click Verify and get your Free Offer.